Boo Knits! 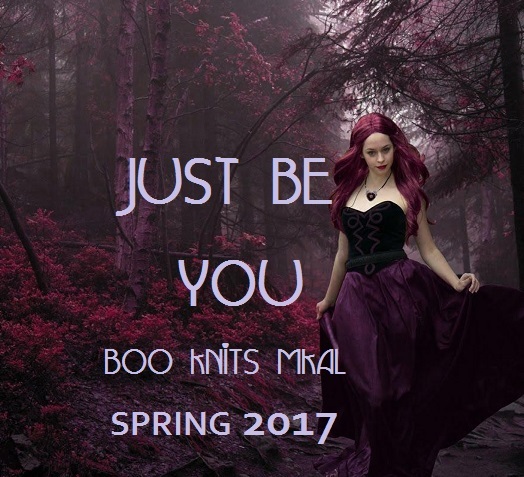 : Time for the MKAL Spring 2017! Time for the MKAL Spring 2017! This shawl has been designed in conjunction with Lichtfaden for Sabine’s Meridian Pure Silk yarn. Sabine’s love for colour is evident to all and we talked at length about a style and influence for the design. Wave-Gotik-Treffen (WGT) is a gothic music and fashion festival held every year, for the past twenty-five years, in Leipzig, Germany. With a Victorian picnic in the park, readings, theatre performances and medieval markets as well as the huge number of music events it is the biggest festival of its kind anywhere and is considered the ‘Mecca’ for cybergoths, metal heads, steampunks, neo-Victorians, dark romantics, dark electro, industrial and medieval fans. Thousands of people descend on the city wearing the most amazing outfits – people attend alone, with friends or with their entire family and travel the world over to take part and experience this week-long event that is always a friendly, tolerant and trouble-free festival. So, whether your style is Victorian Lady, Gothic, Steampunk, or Jeans and T-shirt – Just Be You! This shawl is a celebration of all of us, whoever we are, whatever we are and wherever we are – that we accept ourselves and others without judgement. Choose your colour and wear your shawl with pride and love and be true to yourself. Just Be You is a delicate, lacy and beaded, top-down, crescent shaped shawl. The original shawl has been knit using in Lichtfaden Meridian (600m/100g) and includes just less than 950 Matubo, Toho or Miyuki size 6 seed beads or Miyuki size 5 triangular beads giving it a jewelled, sophisticated and elegant feel. The prototype was knit within this yardage (with just over 5g to spare) but Sabine, at Lichtfaden, has dyed up some overweight skeins at 660m/110g for anyone who prefers a more generous comfort zone and for anyone who tends to be a looser knitter. It is worth taking time and care when winding your cake as this is a pure silk yarn and can be a little on the slippery side so keep an even tension and wind more slowly than ordinarily. The pattern will be released in six clues, all half a week apart but none of them are huge clues. Each new clue will be added to the previous clue(s) so you have a complete and up to date pattern to replace your previous issue. You might like to check the update as you may not need to print out the entire pattern on each release. Yarn: This pretty shawl has been designed to be knit in Lichtfaden Meridian. Needles: 3.5mm (US4) 3.75mm (US5) and 4mm (US6) circular needles – it is better to use a needle the produces a fabric you are happy with. You will want good drape and should therefore use a larger needle than if you were knitting a garment. You will also need: Stitch Markers, a 1mm crochet hook or cro-tat hook to apply your beads, a darning needle to weave in your ends and blocking mats and pins and just under 950 beads, I used Miyuki 4mm cubes but Miyuki or Matubo Size 6 Seed Beads or Miyuki Size 5 Triangles would also be good. Size and Gauge: 82 inches (208 cm) wide and 20.5 inches (52 cm) deep with a gauge of 17 stitches to 4 inches with relatively thuggish blocking (I cannot help myself! ).